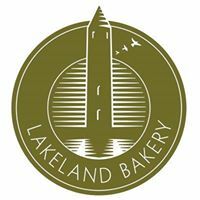 Our baking mixes have been a long time in the making, as we’ve strived to perfect the recipes for each mix in our Lakeland Bakery range. We’ve had the privilege of working with the late Jan de Vries on perfecting the flavour and texture, and still catering for those with food allergies and intolerances. 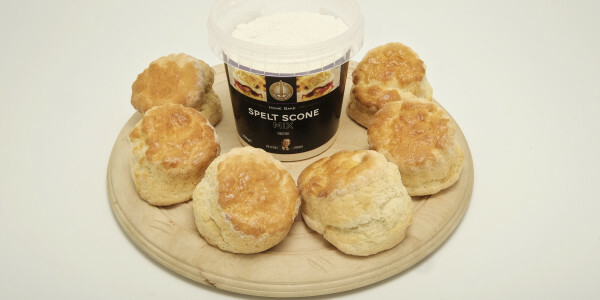 We wanted to make a range which was easy to make, convenient, and top quality, and of course, a range which is suitable for a multitude of food allergies. Our family bakery have worked hard to achieve this, and we’re delighted with the results. 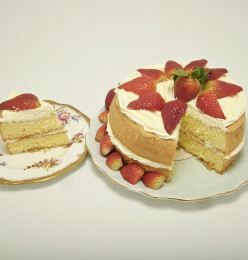 We’ve catered for those with coeliac disease, those suffering from gluten intolerance, and those who have simply decided to remove gluten from their diet in our baking mixes. 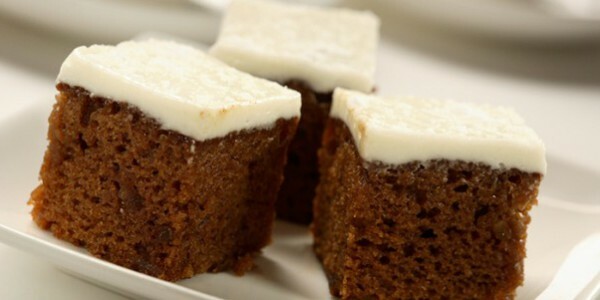 It can be difficult to find gluten free products to make at home which have a rich, moist texture, and plenty of flavour. Our gluten free cake and muffin mixes give you just that. 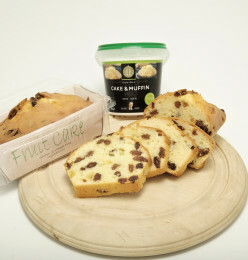 Choose from our gluten free sponge mix to make delicious sponge cake to decorate in any way you choose, or go for our gluten free cake and muffin mix, which is versatile enough to make a variety of different flavoured cakes and muffins. If you’re following a wheat free diet, you can still enjoy the great taste of home baked goods with our wheat free baking mixes. 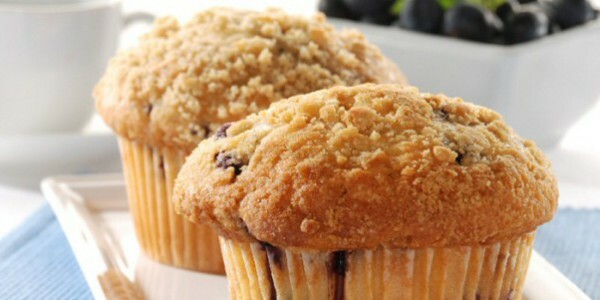 Make a variety of cakes and muffins, or enjoy some freshly baked oat bread. We’ve made it even easier for you to have the taste of wheat free bread and cakes from the bakery, without leaving the house! We’ve got five egg free mixes to choose from, each one deliciously simple to make, and even better to taste! 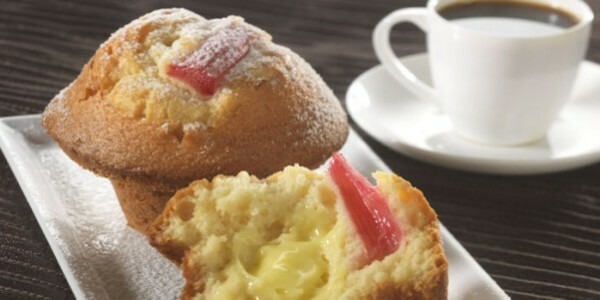 Bake your own egg free cakes, muffins, breads and scones, and enjoy your very own home baked treats. All of our baking mixes are suitable for a vegetarian diet, and our Oat Bread Mix and our Spelt Bread mix are also suitable for vegans. 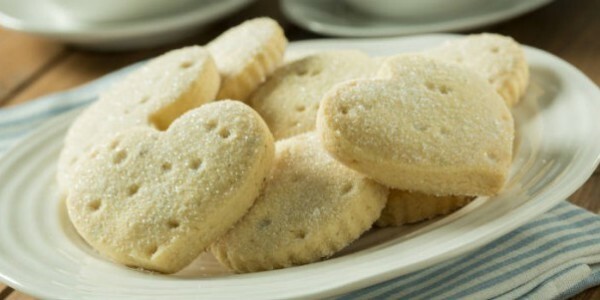 So a vegetarian diet doesn’t mean you have to sacrifice delicious home baked goods! 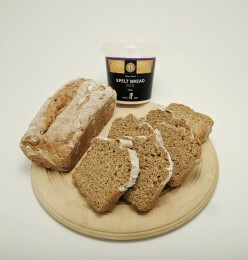 We’ve even catered for those seeking to reduce their sugar intake, by creating bread mixes with no added sugar. 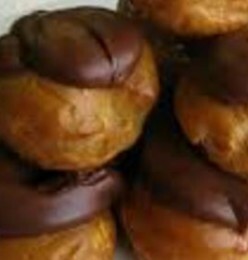 They’re still delicious, but we’ve managed to perfect the recipe without adding sugar. 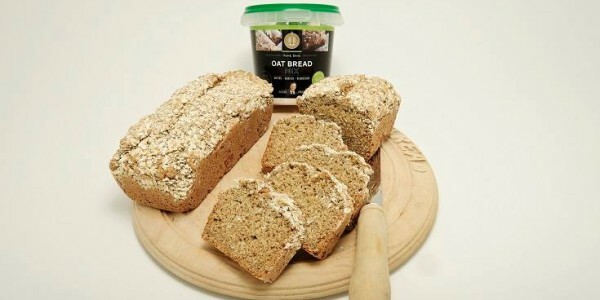 Try out our Oat Bread Mix and Spelt Bread Mix if you’re looking for convenient and tasty home baked breads with no added sugar. All of our baking mixes are also yeast free, so you can enjoy all the taste without the yeast, and even bake them at home for your family and visitors. 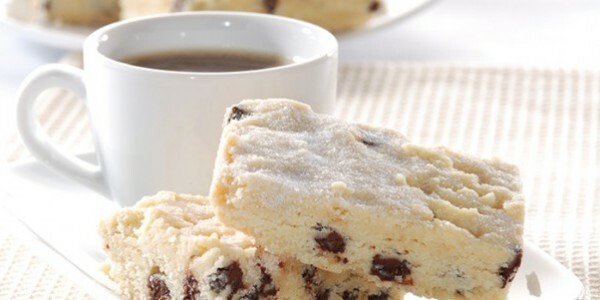 Choose from yeast free cakes and muffins, breads and cookies. Order online and we’ll deliver them to you anywhere in the UK or Ireland. 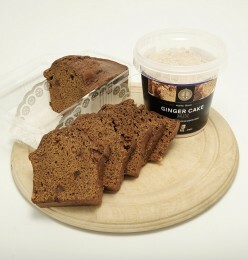 Our range of mixes also include tasty bread mixes for those suffering from lactose intolerance. 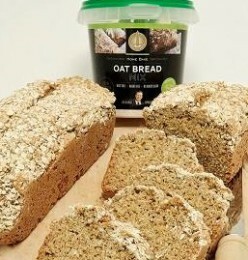 Choose from our Oat Bread Mix or our Spelt Bread Mix for a dairy free, tasty homemade treat. Our baking mix range also caters for a number of other special dietary needs, with nut free, sesame free and soya free mixes included in the range.